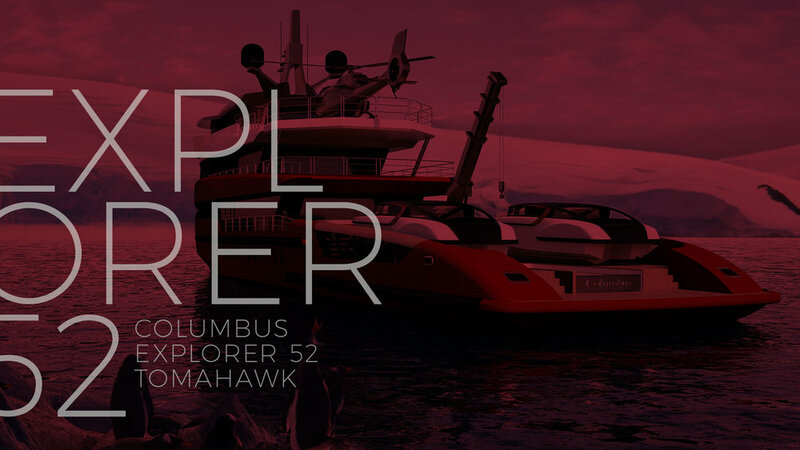 The New Era for Explorers comes from Palumbo's experience in shipbuilding. 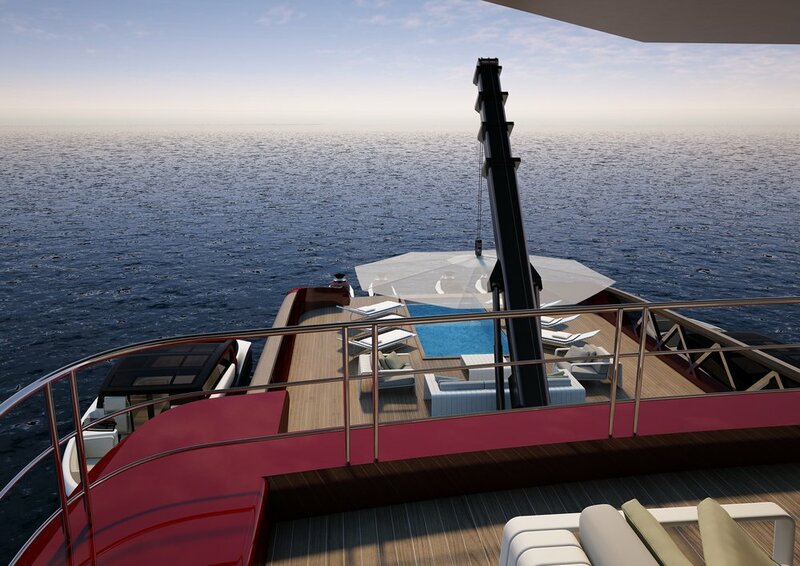 The design starts from a no-compromise oceanographic ship while its volumes are devoted to the best comfort, creating unique spaces. Unexplored areas become more and more “personalized destination wish lists”. 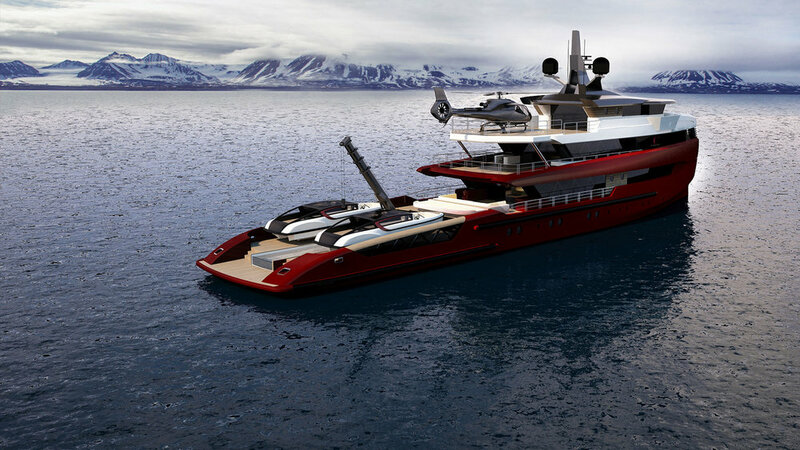 Vessels able to support those destinations should have the look and the capabilities of TRUE EXPLORERS. A choice of perfect balance between design and performances. An excellence of sea keeping, construction capabilities together with long range. Tomahawk 52 is yacht inside a ship in terms of comfort values. 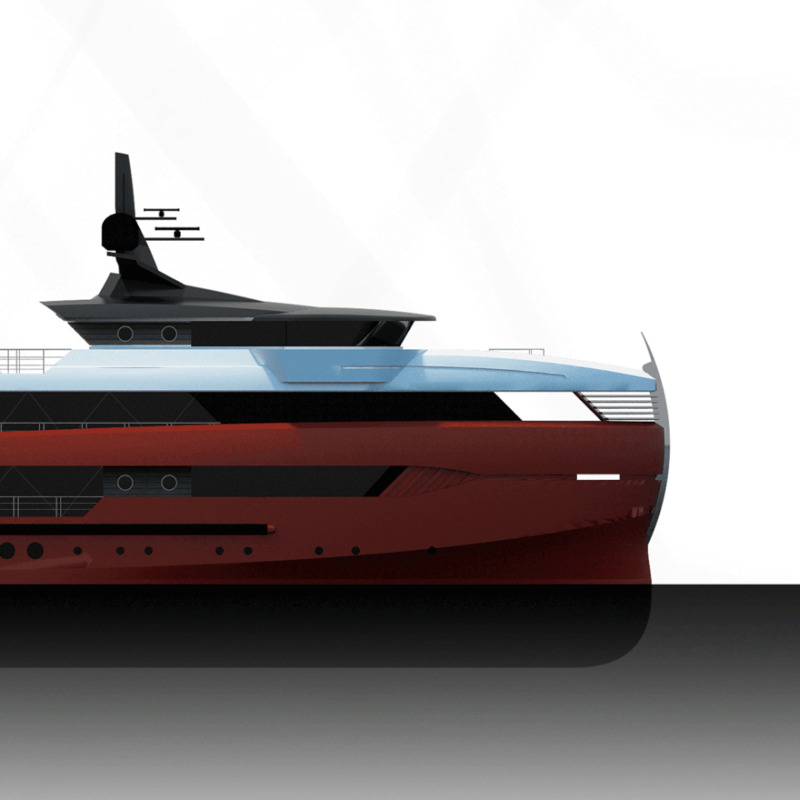 With strong lines design, luxury details and unique spaces, it represents the evolution of a research vessel experience with the best technical sea keeping and stability features, in any weather condition worldwide. 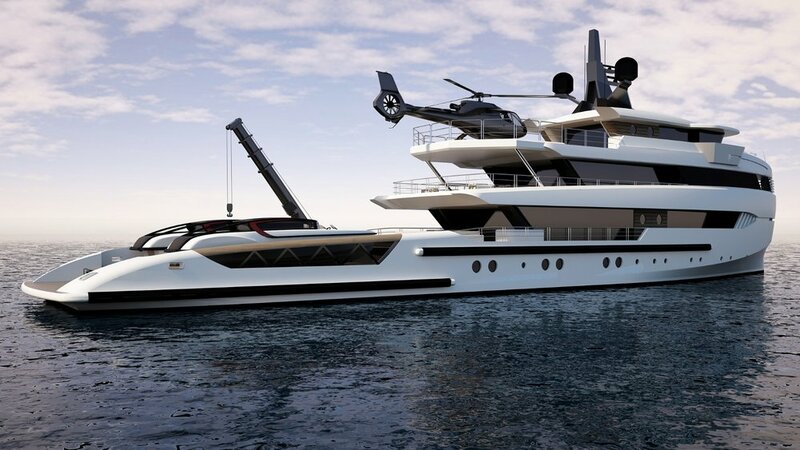 Tomahawk is conceived to be developed in lengths from 40 to 100 m.
A full custom design able to satisfy the most ambitious expectations on an unbeatable technical platform. 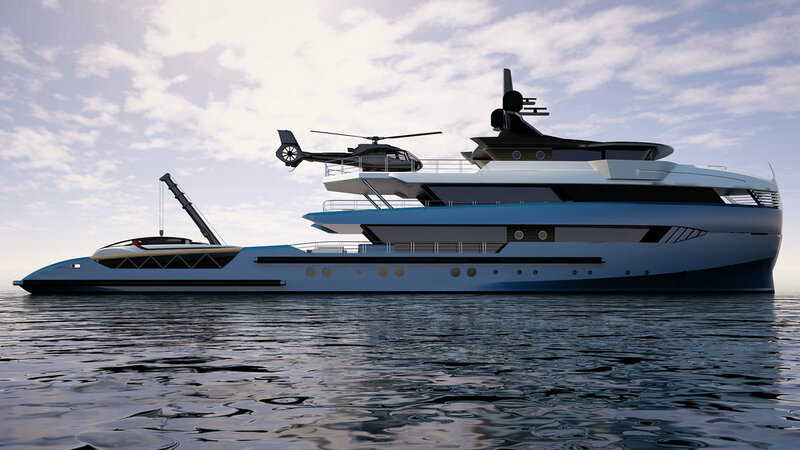 The Vessel's XL volumes are clearly devoted to the largest beach area ever (200sqm on three levels). 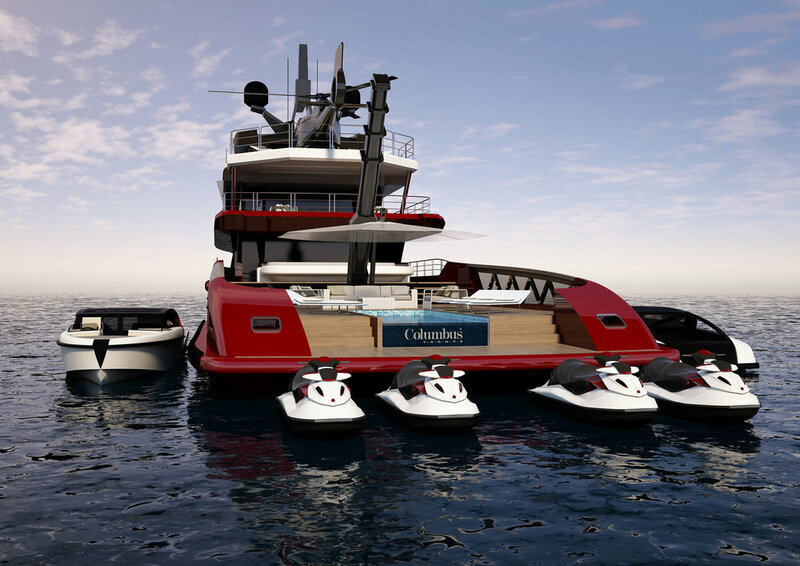 The aft Level opens directly over the sea with the possibility of hosting up to 2x12m tenders, 4 jet skis, a submarine or several motorcycles and inflatable toys. Addition storage space for additional tenders and sea toys in the bow garage. The Beach area reveals a full size swimming pool or alternatively a basket ball court. The area may also be equipped with free standing tables, sun bathing platforms, settees or as a big playground. A powerful crane for tenders and submarines also perfectly serves the purpose as a lift for an ample canvas bimini that provides comfortable shade to the beach area. The outside and the interior spaces are fully devoted to the maximum comfort and quality with full custom design. A magnificent owner suite positioned at the bow with private terrace front sea. A MCA Compliant helipad may be hosted on the top deck with direct access to the main stairwell. A "no-compromise" attitude of the Explorer line is shown by the storage capabilities, the helipad positionining and its top affordability mechanical systems.